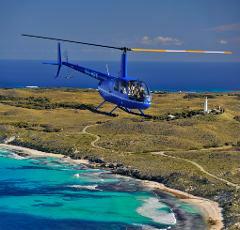 Participants have the whole helicopter to yourself on this exciting flight! 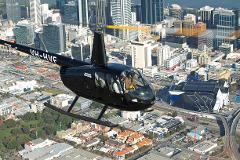 Enjoy stunning views of the Swan River, Cottesloe, Kings Park and Perth City. Price per person. Minimum 2 passengers to book this flight. 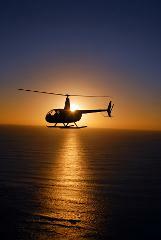 Participants will have the whole helicopter to yourself and enjoy a private Tour. 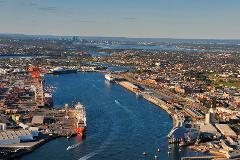 Stunning views of the Swan River, Fremantle, Kings Park and Perth City. Price per person. Minimum 2 passengers required to book this flight. This 60 minute flight explore Perth's spectacular coast and Perth City before heading to Rottnest for a full island orbit. Our most comprehensive and spectacular tour. Price per person. Two passengers are required to book this flight. This exciting flight will take the participants from Jandakot to Fremantle before following the sparkling Swan River to the city of Perth. Please note that a minimum of 2 passengers is required to book this flight. Price per person. Ideal for couples to celebrate an anniversary or just enjoy a romantic flight with their loved one! They will take off just as the sun sets with spectacular views. Price per person. Two passengers required to book this flight.